Amlogic showcased three reference platforms based on new processors namely S905Y2, S905X2, and S922X at ICB 2018. 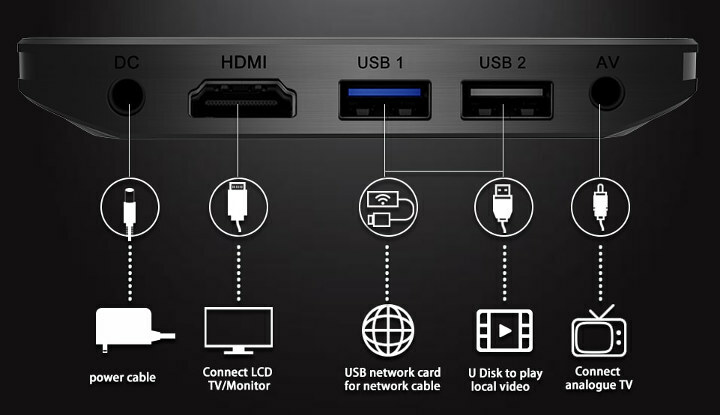 Let’s forget about the more powerful S922X processor for now since it should be released a bit latter, but S905Y2 was integrated into a HDMI stick reference design, while S905X2 was found in a TV box reference design. 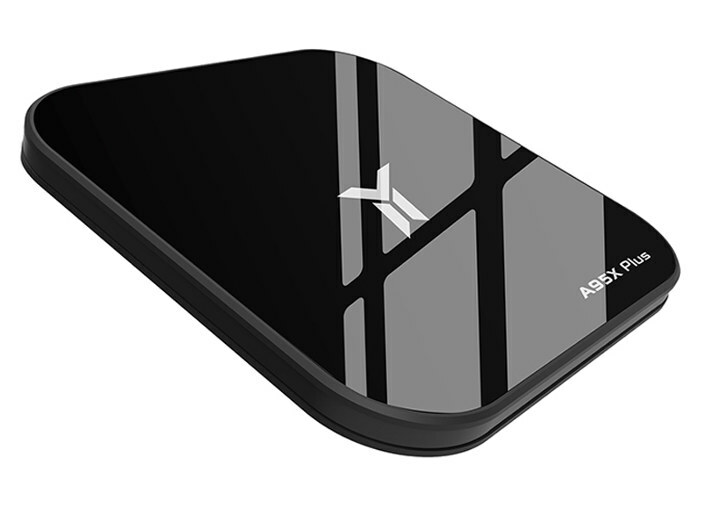 We’ve also covered an Amlogic S905X2 TV box with X96 MAX model, but today I came across a model based on Amlogic S905Y2 processor instead. Meet A95X Plus. The box runs Android 8.1, and ships with a remote control, a power supply, a HDMI cable, and a user manual. If you don’t need Ethernet for your video streaming needs, A95X Plus is somewhat better deal since it is sold for about $50 shipped with 4GB RAM/32GB flash, against $56.87 for X96 Max (S905X2) in the same memory / storage configuration. Only from the photos I have seen, they seem to imply you plug a USB network card for network cable into the blue USB port marked number 1 . If you want Ethernet. On the same Aliexpress page at the bottom there’s written ‘4.0mm DC [email protected]’. This thing is 50 bucks shipped claiming to have 4 GB DRAM (everyone talking about 10$ per GB RAM today? ), 32 GB eMMC, 2T2R 802.11ac dual band Wi-Fi and a new 1.8 GHz A53 SoC with USB3. What’s not fake? Who’s the target audience? Morons? All I wanted to say is that this Aliexpress page is such an insane BS collection that I don’t think it’s a smart idea to try to derive specs for yet unknown SoCs like this S905Y2 from there. For some parts, yeah. Ofcourse the whole mem config differences is rather confusing but if its near 50-60 bucks, even with DDR3, that’s still a potent thing. The ”brand” here is Wechip. On the Spanish one, it also shows up as Runsnail (Yes, really). This and X96 Max are just ”generic” models that tons of OEM’s use. In this case its just a matter which ”rebrander” is doing these first. In this case Wechip, which, like Vontar, sells a ton of different TV boxes, just copy pasted from the original brand. It sure is China. Still, great specs if true though. Even the mem is indeed DDR3, for 50 quid these things are more expensive than the SoC’s they replace, but gaming wise they are a lot more important. Modern GPU arch, enough RAM to work with… Finally low end boxes can run those titles that require more than the usual 2 GB RAM system specs on most Android games. The price has increased since yesterday. Not sure whether it’s temporary or not, but that now means the S905X2 box (X96 Max) is better priced in the same 4GB/32GB configuration. I wonder what the s922, s922D and s922X I have seen mentioned on internet, will bring. Does what any other previous generation of TV boxes do. Most specs are not even impro ements. These devices are now frankly boring. They do keep mixing lpddr4 and ddr3 on the Aliexpress page though. A wait till trusted reviews for me. Unless some severe sw issues creep up, these are some good value-for-money tv boxes, and the credit goes to Amlogic.